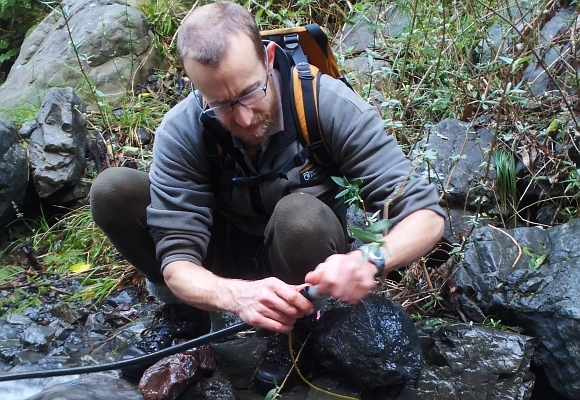 Ever wondered what DOC rangers do in a typical busy day? 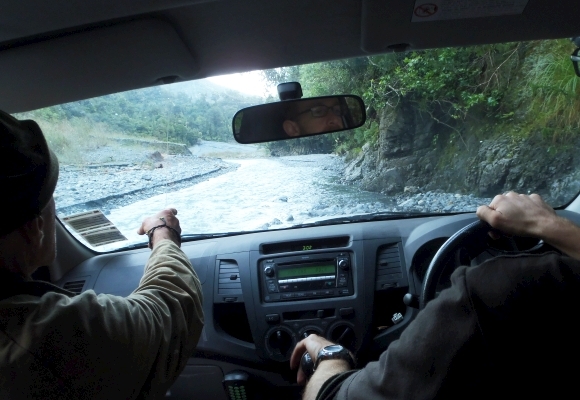 Well, Rangers Daryl and Keith help look after a wonderful piece of New Zealand’s bush very close to Wellington. Rimutaka Forest Park is a 40 minute drive from Wellington city. 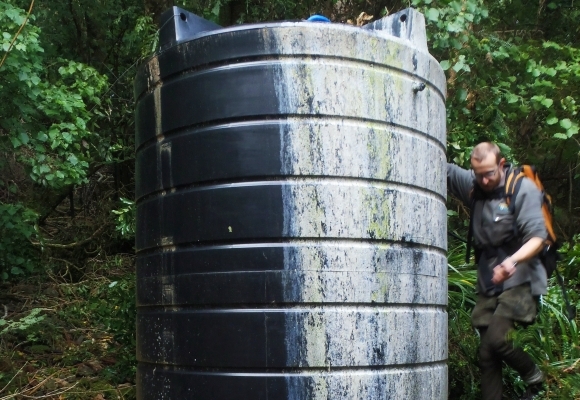 From the Catchpool Valley (the most popular entrance to Rimutaka Forest Park) you’re only a 2-3 hour easy tramp away from six awesome DOC huts, with full kitchens—including cookers, cutlery, crockery, and firewood. One hut even has a gas BBQ, inside flushing toilet and a hot shower. As these huts are very busy someone has to make sure that they are always in good working order. This is where Ranger Daryl and Keith come in. 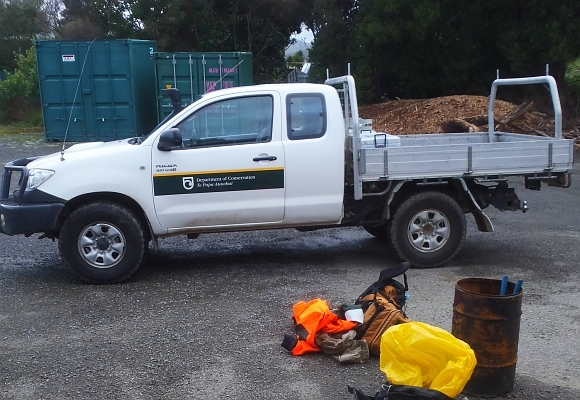 Every month they load up their trusty DOC ute and spend 3-4 days at the huts, making sure everything is spick and span. They have lots of different jobs to do. Some are fun (cleaning the toilets), and some are less so (having a nap on the bunks to make sure the mattress is comfy). Their day starts early, loading up the ute with all they think they need, from soap and toilet paper, through to firewood, gas and chainsaws. Clean the loos, the gutters, the floor, wash the decks, check the cookers, check the water in the tanks, check the water pipes, check windows, check all the walls of the hut, a visual inspection of the roof, check no bush is too close to the hut, check the animal traps, check the signs, remove all rubbish and of course sign the hut book! This is done for all six huts. They also walk the main tracks and check for windfall and track damage. I’m tired just thinking about it all. 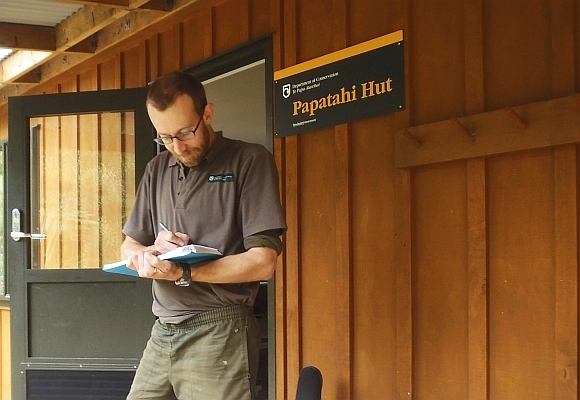 So, the next time you spend a night in one of our wonderful backcountry huts think about these rangers who spend their day making it comfortable for you to use, and make sure you leave a nice comment in the hut book. The six huts in the Rimutaka Forest Park can be booked on a per night basis and sleep 4-14. They’re perfect for families and people wanting to know for sure that they have a bed for the night. They are also sole occupancy huts (meaning you don’t need to share with anyone else!). These huts can get busy, so it’s best to book early.